Do thoughts of back to school and cooler temps have you dreaming a fall wardrobe update? Are you high on style, but low on cash? Would $100 gift card to spend on clothes and a FREE personal shopper to help you spend it sound pretty darn good right about now? As I'm sure you already know, I am a personal shopper for Sears/Kmart/Lands' End and my services are 100% complimentary. My clients are treated to personalized online catalogs based on their shopping needs, exclusive coupons and promos, price comparison services, closet overhauls, personal shopping trips and so much more. 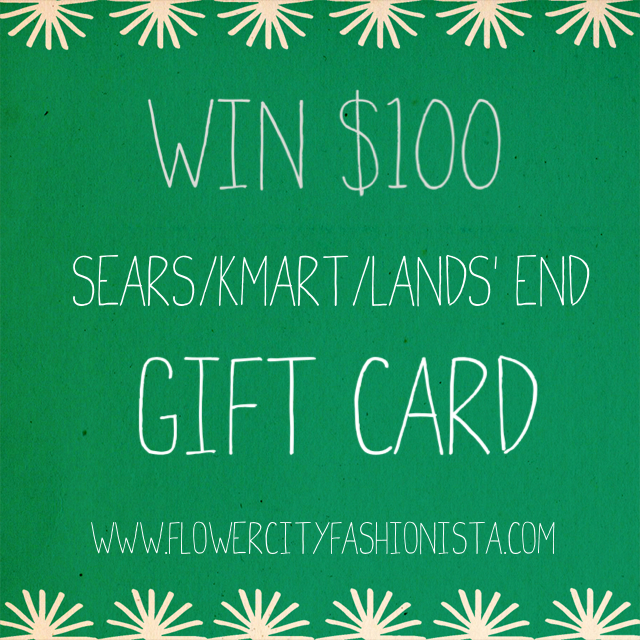 As sweet of deal that is, it is about to get even sweeter: I am going to give away a $100 Sears/Kmart/Lands' End gift card to one lucky client. The ONLY criteria to enter the giveaway is to sign up as client and you can do that right here. Giveaway* runs through September 1, 2013 and is open to US residents only. *Must have a minimum of 50 entrants to run. Contest is open to both new and current clients. Best of luck lovelies! Can not wait to shop together! What will you buy if you win? Done! So excited for this!